Neil Marshall's film-making is wild and distinctive, from Dog Soldiers, Doomsday and The Descent to his episodes of Game of Thrones. He does chaos incredibly well. So we had to ask him: What did you learn from watching Terry Gilliam movies? Actually, we asked Marshall as part of the feature where we also asked Looper director Rian Johnson, Iron Man 3 writer Drew Pearce, and some others about Gilliam's influence. Marshall didn't get back to us until now — but we still thought his answers were worth sharing. What's one thing you learned from watching Gilliam's films? A happy ending isn't always an obvious ending. 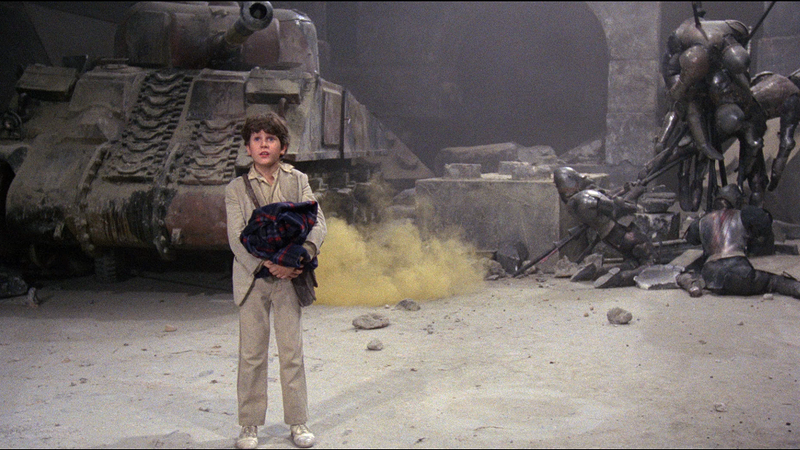 Take Time Bandits for example: His parents explode at the end, but it's still a great 'happy' ending. It's the right ending for the story. And the original ending for Brazil was a massive inspiration for the original ending of The Descent - the idea that someone can go insane on the outside, but inside they've found happiness. What makes Gilliam an important visual storyteller? Gilliam has always been such a rich visual storyteller and as someone who shares his passion for history, particularly medieval history, I've always been massively inspired by his work - from the knight coming out of the wardrobe in Time Bandits, the giant Samurai in Brazil, the Red Knight in Fisher King... these are just a few examples of the many amazing and striking visual images he's created in order to tell his stories. His imagination seems boundless and he's not afraid to be experimental in his work.